Denis Roux has given full permissions for me to convert his 55 mod from NR2003. 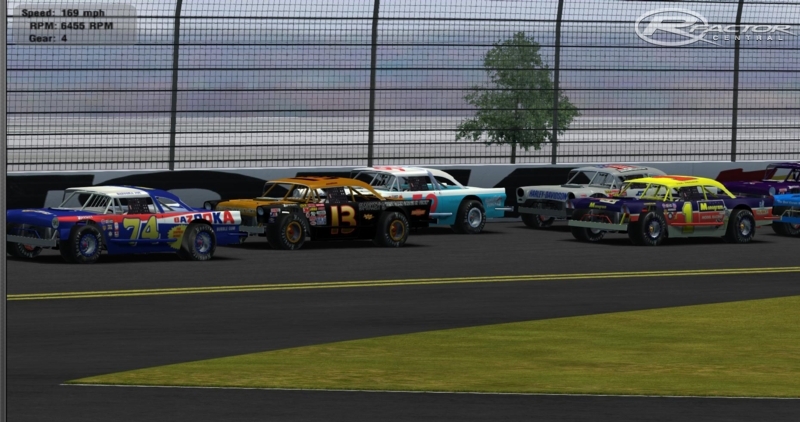 All textures and 3D models contained within were created by the Dirt55 mod Development Team. 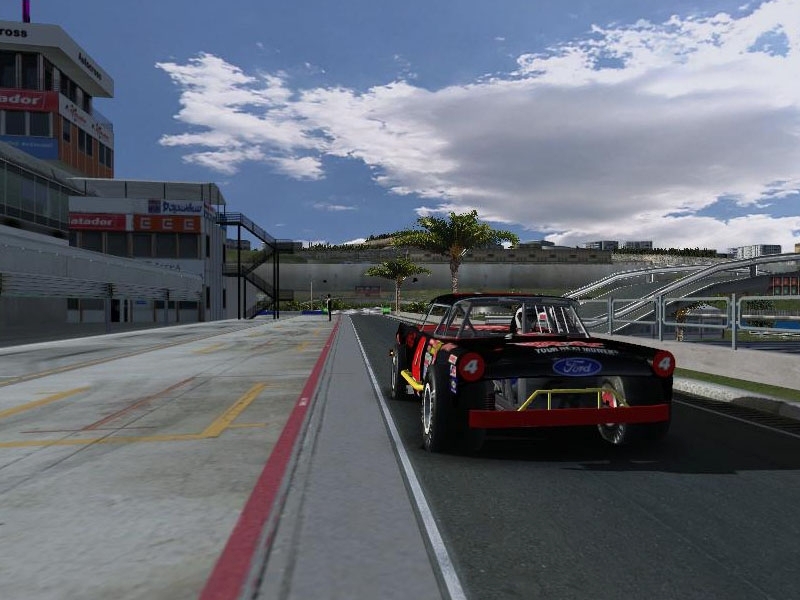 All components are brand new works not previously seen or used in the rFactor community. And are sole intellectual property of the Dirt55 mod Development Team. Denis was gracious enough to let me convert it , and was happy with the quality of conversion to keep with his standards of modding. The cars feature: 380+HP Saturday night engine. Realistic 4 Speed. Period Adjustable suspension. Upgrades File includes: FFB Options, Tire and gear for long and short track. Tires work well on Dirt or Asphalt so race how you want... even road course if you wish. There are currently no setups for Vintage Asphalt Outlaw Dirt55. Add a Setup. There are currently no car skins available for Vintage Asphalt Outlaw Dirt55. If you are a painter you can share skins for this mod via the Car Skins area. Visit the Spray Booth for painting tips & tricks. Who gave permission to convert the GN63 mod to rFactor? Ohh I hope DWD doesn't switch the sound of this mod to blend in with his/their's. I really want the sound of this mod to remain the same. Basically every car on the track has a different sound, you just don't really notice it. Really like the Outlaw Dirt55 Mod and was looking for more of those Historic Nascar mods so I went to the site that has the GN1970 and found that file appears to be missing; brought up an error and wouldn't download. I did download the GN63, as it was there as well, but it crashes when I select different cars. Looking forward to the repaired GN63 and the GN1970 once it becomes available again. Love ya work! Put a dirt addon in this mod where you can chose from asphalt to dirt on the vehicle setup, I want to race history on dirt! It will run on both just fine the way it is.. give it a try.. we do it all the time. The AI don't want to drift at all when racing offline. It bores me. Love this mod! These cars can run on dirt, but you've got to really work on your setups. Also looking to join a league, but can't find any listed here. Anyone intewrested in starting one up?